Ash Cloud From Chile Makes Second Circle; Flights Canceled In Australia : The Two-Way The ash has traveled across the Atlantic and Indian oceans twice now. A third circle would be unprecedented. 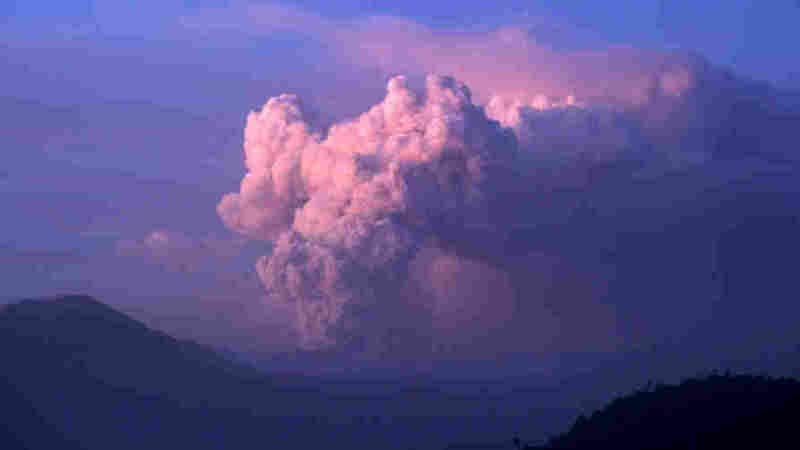 Monday (June 20, 2011): A cloud of ash billows from the Puyehue volcano in Chile. Incredible as this sounds, ash from a volcano in Chile that starting erupting more than two weeks ago is now disrupting air travel to Australia and New Zealand for the second time. Particles spewed into the air on June 4 and subsequent days have made their way around the world twice. There's concern that they could damage jet engines. As a result, "Australia's two major airports are facing up to 48 hours of disruption," according to the BBC. It says that "Qantas and Virgin have cancelled all flights into and out of Sydney and Melbourne. Adelaide airport has been shut and Canberra flights also hit." The New Zealand Herald says that Jetstar and Quantas have already canceled Wednesday's flights into and out of the country because the ash is headed that way. New Scientist's Short Sharp Science blog says a third circle would be unprecedented. The Australian government's Darwin Volcanic Ash Advisory Center says the ash plume "has traveled [twice now] across the southern Atlantic Oceans and under Africa to stretch into the Indian Ocean." 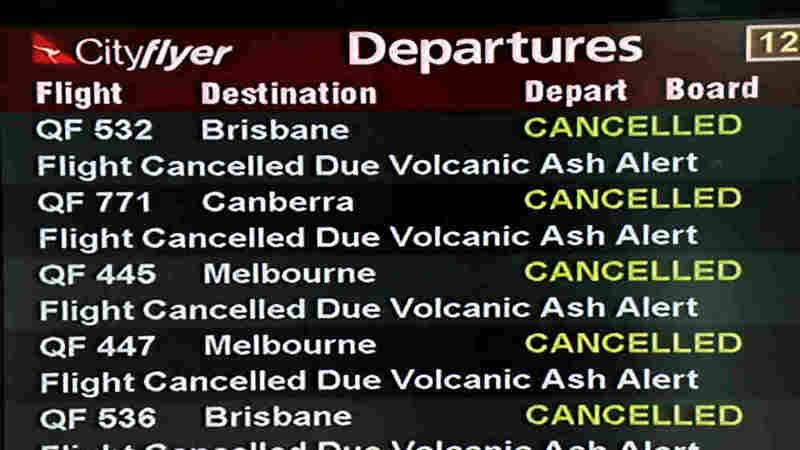 Tuesday (June 21, 2011): The cancellations board at the Quantas domestic terminal in Sydney.